The Kiowa-Apache, or Plains Apache, of the Apachean people who came down from Northwest Canada and made their way to the plains of what is now the United States of America. 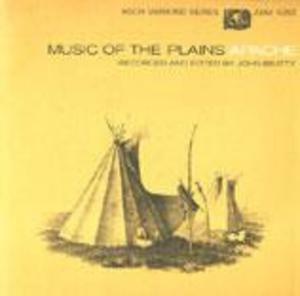 This album holds a collection of songs from various aspects of the lives of Plains Apache people who lived in Oklahoma. From animal songs for children that cry out the sounds of a puppy (“Puppy Song”), to the social songs such as “Hand Game” that features lively drumming and singing, these songs represent wholistically the culture of the Plains Apache.